This one was standing in line already for a long time to be watched. Looking at the number of responses on IMDB, my expectations about it went sky high. Here and there I've read it would be a unique masterpiece, quite arty and directed in a Tarantino kind of way. And I have to admit, those expectations were met. I thought Ryan Gosling would be kind of a modern version of James Dean who makes female movie-fans swoon with his blue puppy eyes. But what an excellent anti-chick flick interpretation he puts into this movie. With the leather gloves, the emotionless facial expression and the high value on the coolness thermometer he surely reminded me of James Dean. At other times, he seemed to be a fear toothpick chewing loner from a spaghetti western made by Morricone. 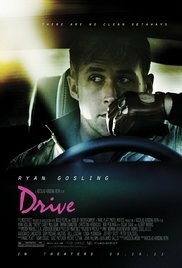 In retrospect, "Drive" really is a brilliant movie. Indeed, it's an arty dark movie, without a lot of complicated plots and twists, yet straight-to-the-point. Aggressive and poetic, interwoven with a slow-building romance, horrifying at times with explicit violent images. 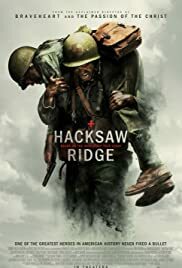 The composition and progress in this movie is sometimes enervating slow in the beginning, with a lot of silenced pauses that really started to work on my nerves a bit. "Rehearsing this script was a piece of cake for him" I thought after about 15 minutes. Eventually, the silence and the expressions say more than a magnificent elaborate dialogue. In my opinion, the storyline itself was masterly. A timid stunt driver/mechanic overloaded with Antarctic coolness, offering his services in the late hours as a getaway driver. Eventually he becomes a valiant knight for the neighbor in trouble whose wife (Carey Mulligan) seems to be a cool, aloof woman. But she succeeds in sneaking into his emotional world of feelings in an extremely slow manner. Finally it all ends up in a complicated rip off plan of some local thugs. Beautiful atmospheric images of LA with "Grand Theft Auto"-like situations. And yet sometimes I thought that those meaningless pauses could have been left out, without prejudice to the overall atmosphere of the film. The soundtrack was also a positive contribution. Usually the music passes by without attracting my attention. In "Drive" it was appropriate and relevant. I found this review at IMDB. I don't agree with it completely, but some points were right on target. I liked this because of its use of super humorous terms,writing style and content. 1) Driver is driver. He's like the Transporter from the movie, except 1/14th as interesting. 2) He goes home after job ,finds girl,girl has boy, girl has husband in prison. 3) Driver wants to be a mechanic, or a Nascar Driver, or a criminal, or a Movie Stunt Driver...or maybe a space shuttle pilot? or President of Uganda, who knows. 4) Husband of girl gets out of jail, and he owes money to mafia guys. Drivers likes girl, so he helps husband. 5) Husband robs pawn shop and dies. Seems that he's been set up by mafia guys as a frame job and Husband gets dead'ed. 6) Driver gets even. Kills everyone. For a while, dressed in a stunt driver mask. 7) Driver gets killed, but lives, or something, driver drives off.